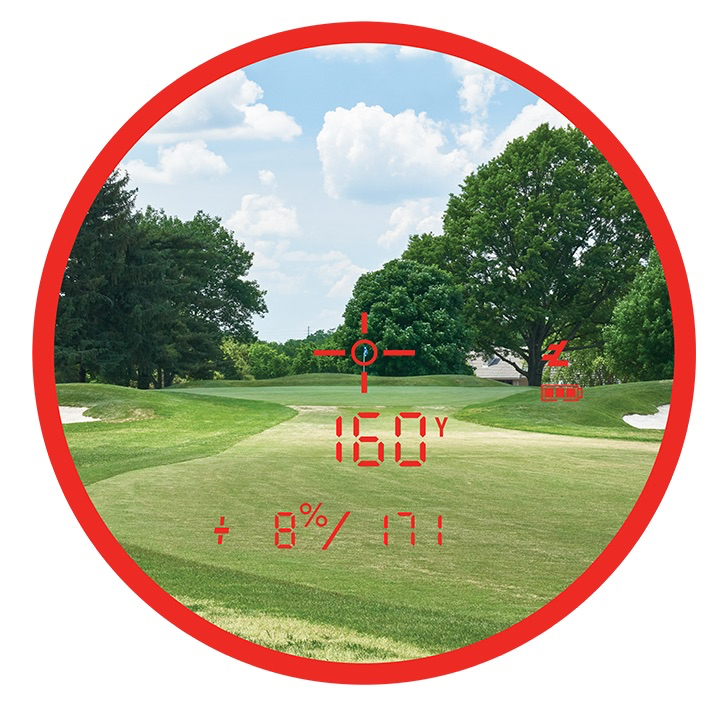 Bushnell has launched a new laser rangefinder that takes into consideration the temperature of the air and the altitude at which you are playing when measuring distances to pins and other features on the golf course. The Bushnell Pro XE introduces ‘Slope with Elements’, a brand new technology that adds temperature and altitude to an improved version of the brand’s patented slope technology to give golfers the most precise distances ever. The improved slope facility takes into account the most updated ball flight measurements, giving a much sharper angle of descent over the previous algorithm. Bushnell provides the only compensated ‘Play As’ distance that takes actual ball flight into account, whereas competitors use simple geometry, which is easy to calculate, but not nearly as accurate. The Pro XE also features PinSeeker with Visual Jolt Technology, which sees a red ring flash on the viewfinder as the handset vibrates to give the golfer even greater feedback and confidence to know they have locked onto the flag. It also boasts a new magnetic mount that allows it to be safely secured to a cart or trolley without the need for an extra attachment. Offering seven-times magnification and capable of measuring up to 500 yards to within one yard of accuracy, the viewfinder features an enhanced ultra-bright backlight display to provide clear data output in the LCD, the Pro XE is fully waterproof and comes with a carry case that can be clipped on to a golf bag, or attached through a belt loop, plus a Velcro golf bag strap attachment. 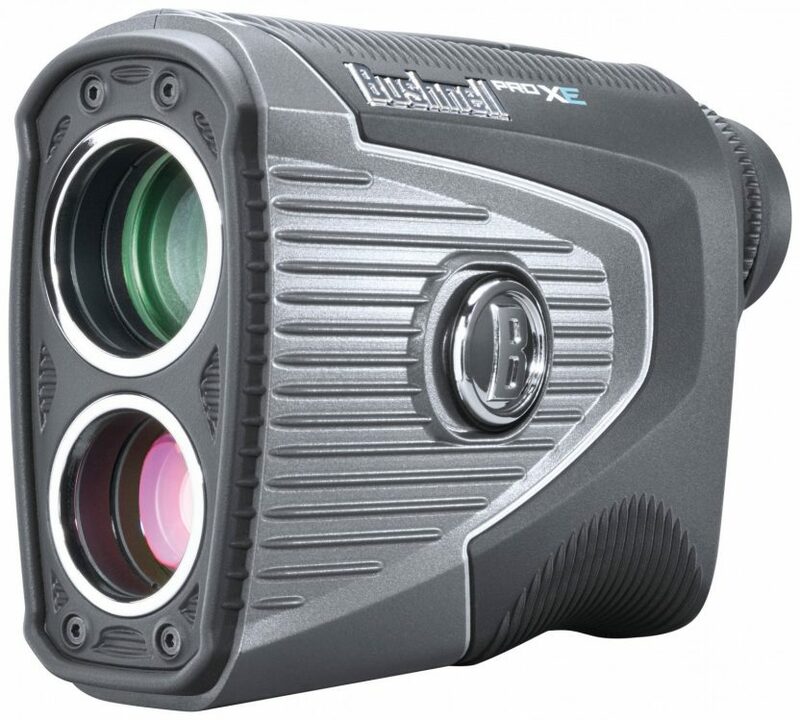 The Bushnell Pro XE has an RRP of £449.99. For more details, visit www.bushnellgolf.com.